The Coastal Path from Hythe is not very….coastal. There is a lot of road. Miles and miles of it in fact. No, really. Miles of it. And miles. We walked over 10 miles of the flat grey stuff on this walk. Tedium soon set in. Ten miles of road-walking is not fun. Still, there were a few things to see along the way. 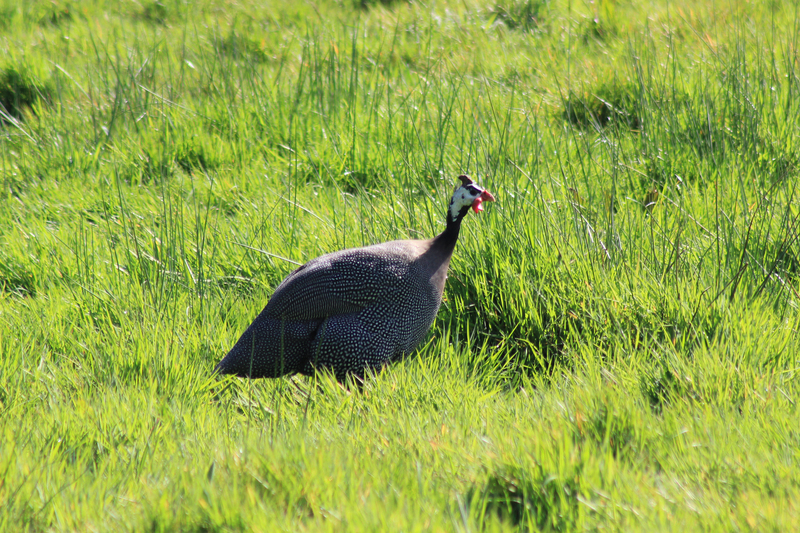 Guinea fowl for example, giving us their beady eye. 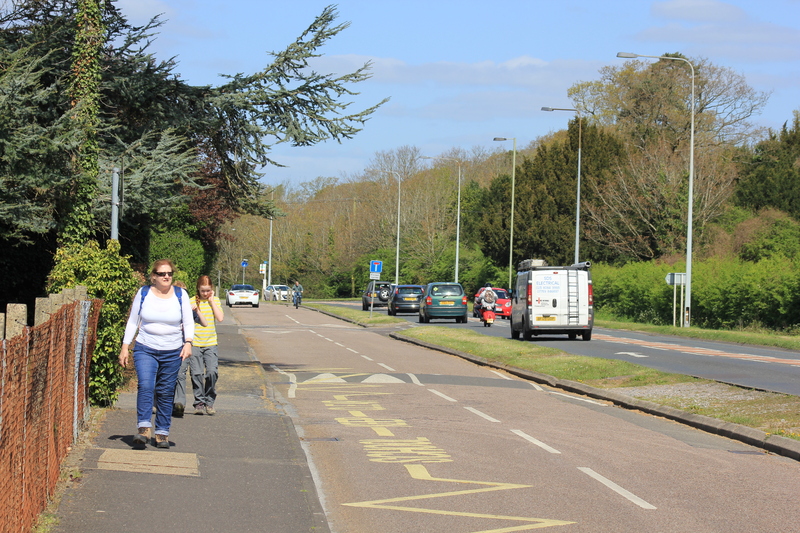 But best of all was something we saw as we reached Blackfield, just by Fawley. 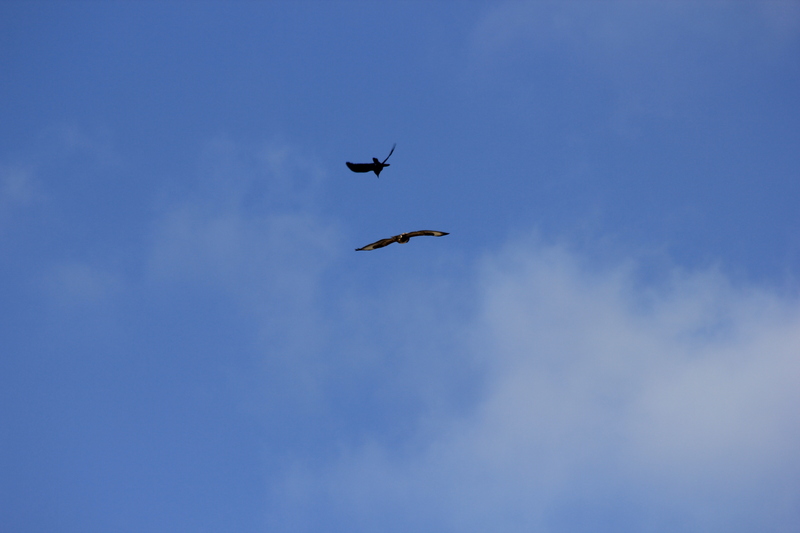 It was a massive bird of prey, gliding high above us and sometimes making huge, slow flaps of its wings. I think this was a buzzard. Whatever it was, it was a sight to behold! This entry was posted in Hampshire and tagged buzzard, coast, Fawley, guinea fowl, Hampshire, Hythe, travel, walking. Bookmark the permalink. That does look tedious :/. But I remember when I walked that way I picked up a footpath that led through woods and then down the edge of the Solent to the coast. I think it was the Solent Way. It was quite pleasant. 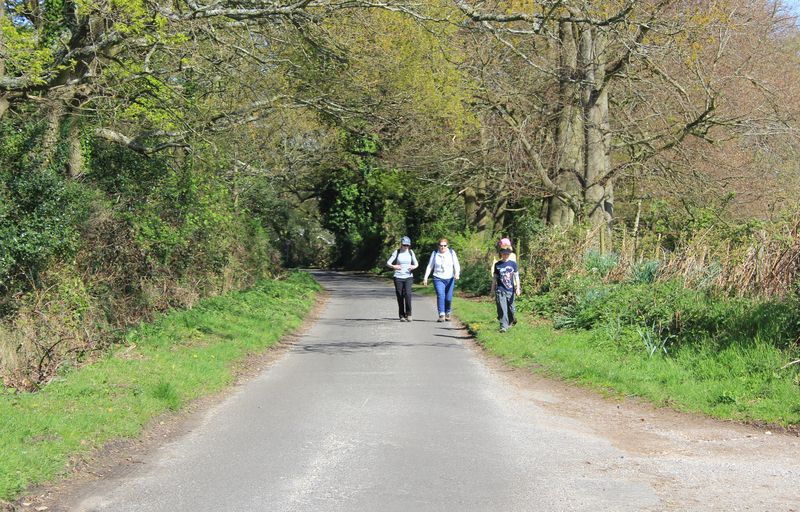 Hi Ruth – we got some woodland for part of it, but there was a huge amount of road walking. And then the next day there was even more! 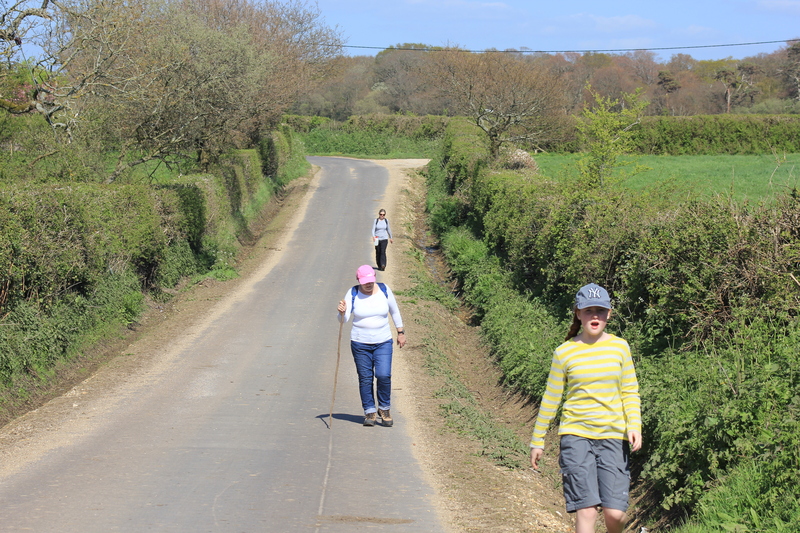 We are now through that section though and back to proper coast – phew! The people next door have a whole bunch of guinea hens.